This pop-up was co-hosted by Julienne McLean, a psychologist and Jungian analyst and spiritual director, based in north London. Julienne works with clients who experience bereavement issues throughout life. Up until now, people who come to the pop-up death cafes have been personally interested in end of life care, or have family and friends who have died or who are dying. Coincidentally, those who came to the pop-up at Kings Cross were all professionals in their own field who used creativity to help people to talk more openly about end of life issues. So this café had a very different feel to it even though it was just as interesting and rewarding as the previous ones. One participant had worked with a children’s bereavement charity for many years, and wanted to work more directly with the dying. One was a television producer, researching for a three part series on end of life issues, including assisted dying. One ran a training programme for volunteers in North London, which empowers communities to plan for the final years of life. One worked for Age UK as a project manager, coordinating volunteers and organisations to have conversations around putting plans in place for end of life. To start with the conversation was very professionally focused on how creativity can be used effectively to help people talk more openly and honestly about the last years of life. This changed when one participant spoke about different generational issues that she was experiencing through her grandmother’s desire to end her life using voluntary euthanasia in Switzerland, which was horrifying her mother. The participant said she was fortunate to be part of a family who talked about these issues, so understood her grandmother and her mother’s differing view points, although she, herself, felt confused by what she believed was right in this situation. It opened up a discussion about the controversy surrounding assisted dying. We all agreed that personal choice at the end of life requires respect, which led to further discussion about the importance of making an advance directive so end of life care wishes are known to medical staff and family. One participant admitted that although she had made a Will, she had never considered making an advance directive before, and hadn’t realised the importance of stating what she wanted for end of life care. This led into a conversation about what end of life choice means, particularly assisted dying. One participant said she wanted to be able to ‘put herself down’ at the end of her life. She dreaded ending up in a care home unable to take care of herself. ‘It’s about quality of life,’ she said. One participant spoke of someone she knew who had taken a family member to Dignitas in Switzerland, and had to cope with the guilt of ‘helping’ this person to die even though they knew this is what the person wanted. ‘Do you think bereavement is different when someone chooses to die like this?’ asked a participant. This sparked off another conversation about how guilty and helplessness many people feel when a family member or friend commits suicide. One participant spoke about someone she knew whose ex-partner committed suicide. The partner found the body. The partner was particularly distressed that this person had to die on their own because if they had been present at the time, they probably would have been accused in British law of second degree murder or manslaughter. The person suffered from enormous guilt for ‘abandoning’ their ex-spouse when that person most needed someone to be there for them. We acknowledged that these were huge moral questions and issues that would always be controversial and challenging. We moved onto talk about the complexity of bereavement and how the loss of someone in your life never leaves you. One participant spoke movingly about the death of their spouse thirty-five years ago. They had been left with three small children, the youngest of which was eighteen months so this child had never known its parent. The participant made a book about the parent who had died for the child, and gave it to them when they reached eighteen. The participant said that after reading the book the child said they felt they could at long last, grieve for the parent they had never known and for what they had missed. This opened up a discussion about how spirituality can play a positive role in the grieving process, particularly for those who have a belief. ‘But what about those who don’t have a spiritual belief?’ asked a participant. 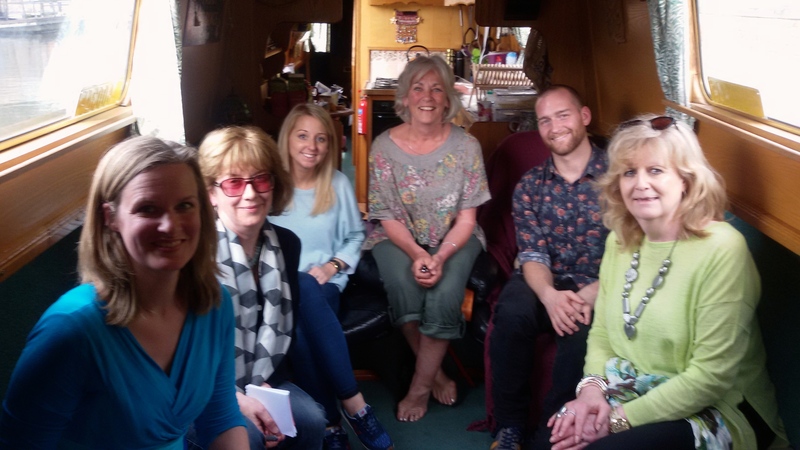 We agreed that the most important thing is to provide a safe place for the bereaved to talk if they wanted to, and not to have expectations of how they grieve, or the length of time it takes them to learn to cope with the loss they are experiencing. However, another participant spoke about the power of Facebook and how young people often share photographs and write loving, meaningful eulogies about friends who have died. None of us had the answer for this. We concluded by saying how good it was to come together as professionals and as individuals to talk so openly about these sensitive issues. We agreed that more creative ways need to be developed to help people talk about the complexities of death and dying, and to understand the intricacies of the grieving process. Death, we decided, comes in many guises, and we need as a society to develop ways of respecting people’s personal choice of how they want to die. ‘It’s about valuing what people really want at the end of their life,’ said one participant. This entry was posted in All posts and tagged advance directive, assisted dying, assisted suicide, death and dying, Death cafe, dignity in dying, pop-up death cafes. Bookmark the permalink. You may have come across GraveTalk, a CofE resource for running cafés to talk about death, dying and funerals. It is being launch nationally on Tuesday 19 May at Portsmouth Cathedral.